On 18 and 19 April, the 2017 edition of the UCLG Executive Bureau is being held, back-to-back with the First World Forum on Urban Violence and Education for Coexistence and Peace, from 19-21 April. The Bureau, which is meeting for the first time following the election of the new Presidency of the organization, will debate the implementation of the decisions adopted by the World Council in Bogotá last October. As a prelude to the Executive Bureau, on 18 April there was a programme of workshops, UCLG thematic committee meetings and policy debates on human rights in the city and the localization of the Sustainable Development Goals (SDGs), both of which are main issue on the UCLG agenda. 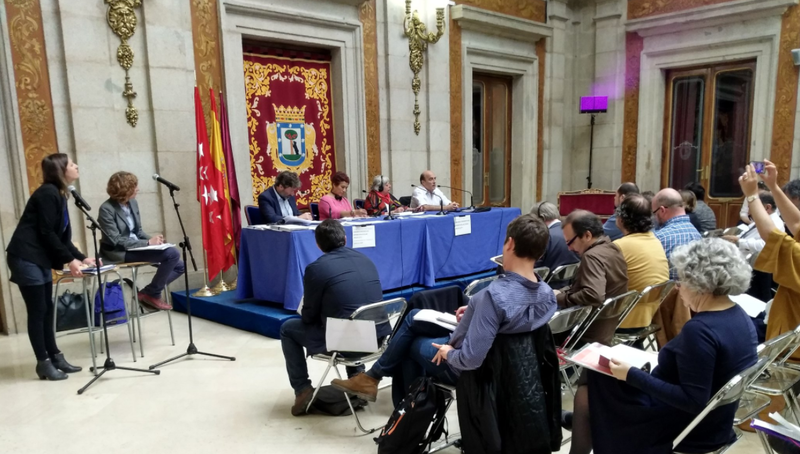 The programme of 18 April featured an important slot for the Right to the City in the session organized by the UCLG Committee on Social Inclusion, Participatory Democracy and Human Rights (CISDP) and the Municipality of Madrid. Human Rights organizations also took part in the meeting and analysed experiences of local policies to guarantee the Right to the City. Patrick Braouezec, President of Plaine Commune and CISDP introduced the session by underlining the role of the Committee, which is comprised of cities committed to the Right to the City. The session continued with examples of human rights policies showcased by mayors: Pam McConnell, Deputy Mayor of Toronto, explained how Toronto has implemented a full programme to guarantee the Right to the City to the migrant population called: “don’t ask, don’t tell”. Rosario Ortiz, Director for the protection of Human Rights in the city of Mexico, said that both political will and the existence of resources are two key elements to guarantee the Right to the City. Third Deputy Mayor of the city of Madrid, Mauricio Valiente, underlined the importance of decentralization and local resources to guarantee human rights to citizens. The session was followed by a debate between the institutions and civil society on how local governments and territories, together with the civil society, can stimulate citizen participation. The local and global sustainable development agendas will be shaped by the knowledge of local and regional governments, which is based on the local reality and on communities' practical experiences. That’s why UCLG is promoting a debate on localization. On 18 April, a workshop was held on “Localizing the SDGs” to share a set of learning tools with representatives of cities and associations of local and regional governments interested in supporting the “localization” of the 2030 Agenda. The event was organized jointly by UCLG, the City of Madrid, UCCI, Platforma, the Province of Barcelona, UNDP and UN-Habitat. The session provided a ‘train the trainer’ educational opportunity; it was open to politicians and experts from local and regional governments, their associations, programme experts, and networks or organizations active in development programmes. Representatives from national associations of local and regional governments took part in this session, which focused on the learning module on localizing the SDGs. The learning module, provides UCLG members and partners with practical material to support the promotion, implementation and monitoring of the SDGs, thereby encouraging greater mobilization and interactive work among local governments. 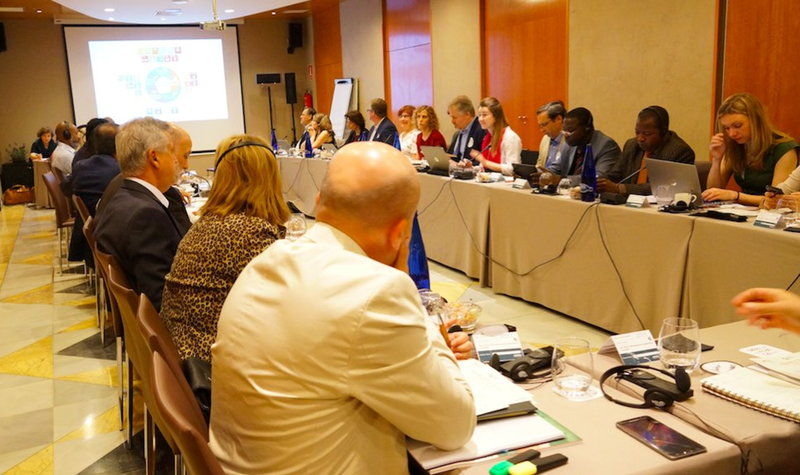 In the framework of the UCLG Executive Bureau meetings, the Spanish Federation of Municipalities and Provinces (FEMP), with support of Platforma have organized a political debate to analyse how all SDGs have a local dimension that is essential to their achievements. The institutional welcome was given by Carlos Martínez Minguez, Mayor of Soria, Fernando García Casas, Secretary of State for International Cooperation and Latin America and Mpho Parks Tau, UCLG President. Fernando García Casas argued that subnational governments and states “need to sail and pull together in face of the new challenges ahead”. García Casas added that “many of the actions to achieve the SDGs are taking place at subnational level, in particular at local level; this is why municipalities have to be involved”. UCLG President, Parks Tau, explained UCLG’s understanding of localization: “for us, localization is a bottom-up and a political process. The achievement of the SDGs and the Habitat III Agenda must be based on local priorities and resources. That’s why local democracy and local leadership are that important for localization”. Parks Tau added that the political dimension of localization is as important as the technical one and that UCLG will continue working with national associations of local governments to achieve increase recognition of our constituency. The two following roundtables included mayors’ experiences of policies implemented to achieve the SDGs. The debate highlighted that localization should enable us to learn from implementation, adjust targets and refine the necessary global frameworks with a view to achieving the visions that the international community has defined together. Participants agreed that local and regional governments are policy-makers and the best level of government to link the global agendas to our communities by putting the focus on participatory democracy and making citizens part of implementation.